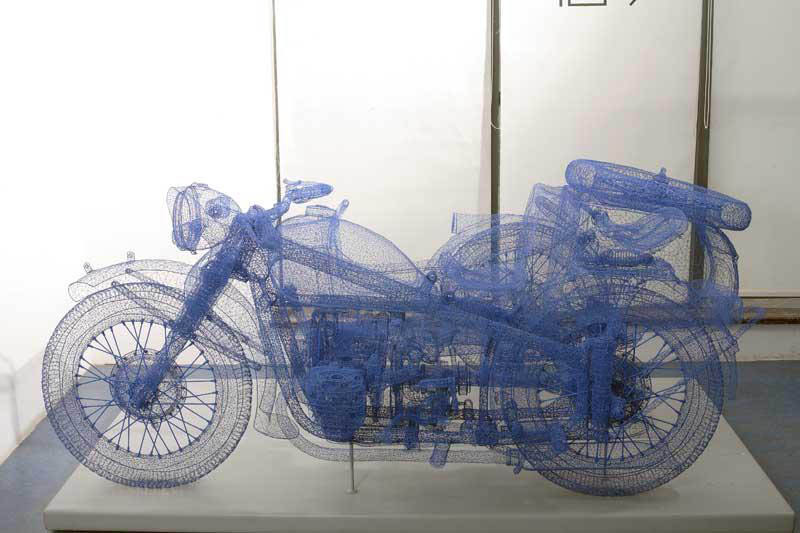 There’s a strange juxtaposition in Chinese artist Shi Jindian’s steel wire sculptures. 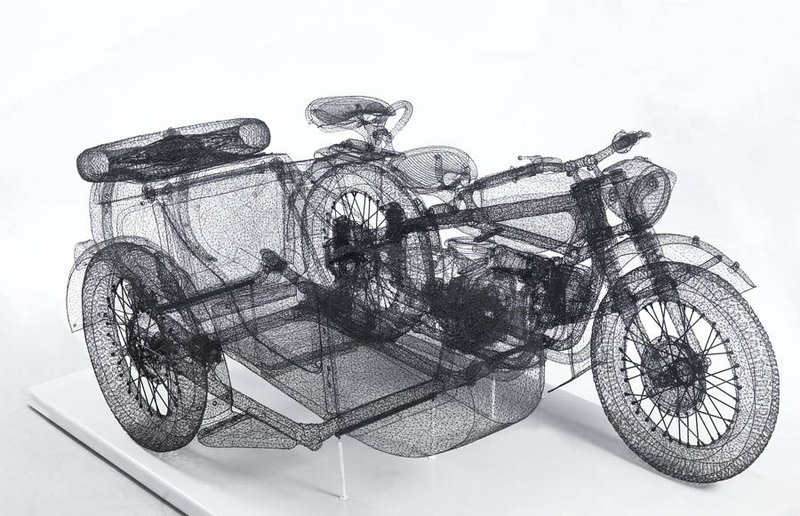 His subject matter tends to be, for the most part, solidly masculine with motorcycles and military vehicles as prime examples, but his delicate wire mesh sculptures make them look delicate and almost ethereal. Jindian’s pieces are reminiscent of Do Ho Suh’s work, but only in that they are light and translucent, the technique, oddly enough, is more comparable to Olek’s crocheted works. Shi Jindian learned, by trial and error, how to crochet the two-dimensional strands of wire into three-dimensional forms using tools of his own devising. His wire meshes start out as wrappings around common objects. When the mesh is complete, he destroys or extracts the object, leaving only its steel “shadow”. Each of the works takes years to make and is accurate to the smallest detail.